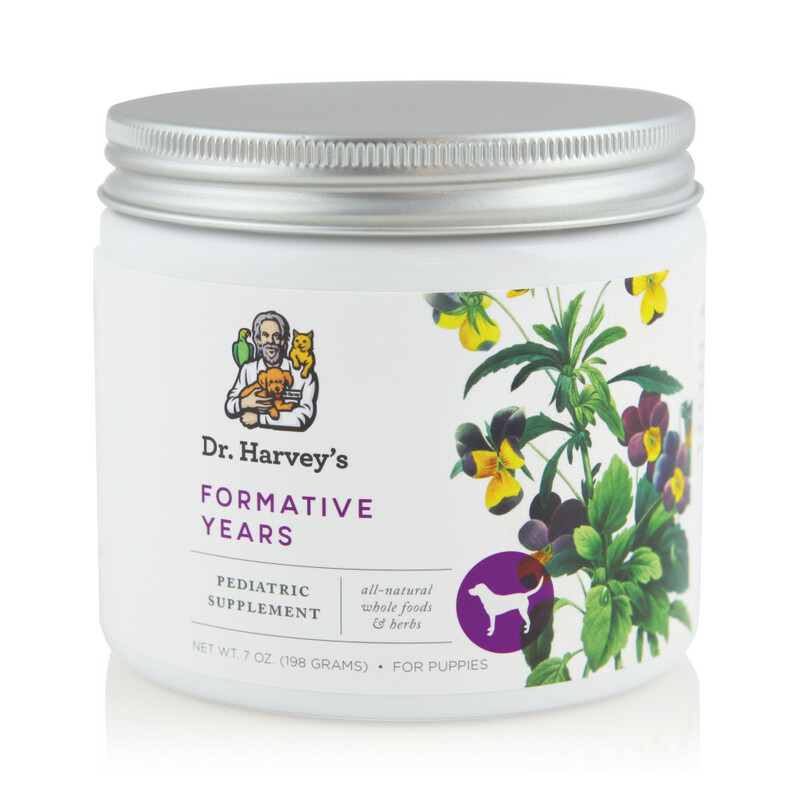 Formative Years is a powdered herbal formula that helps to provide vitamins and minerals for puppies and young dogs. 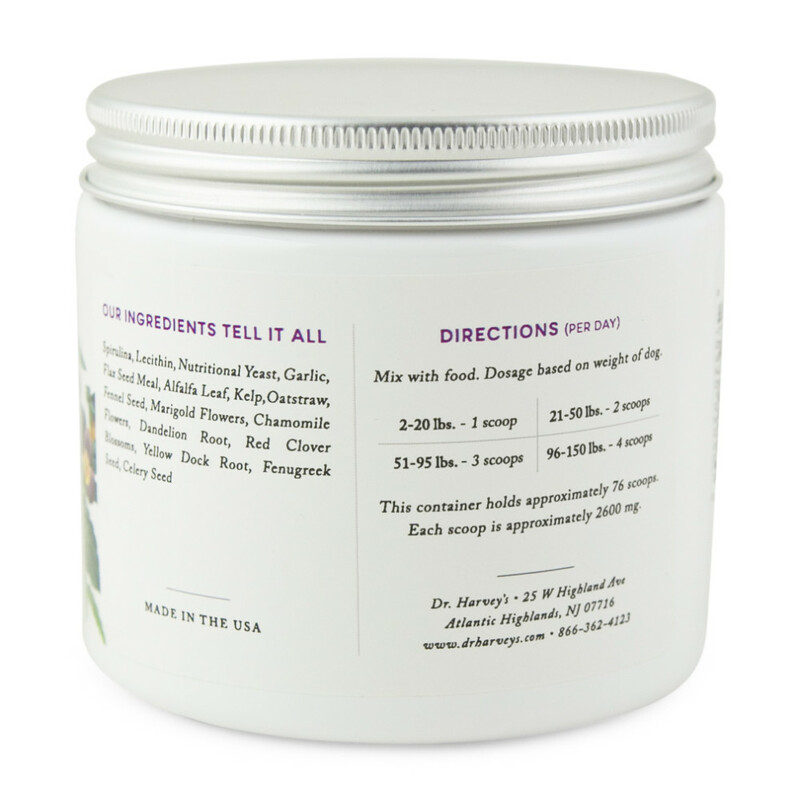 The herbs in this formula are mixed in a base of whole foods that when added to an all-natural diet can help a puppy during those crucial early weeks, months and years. Mix with food. Dosage based on weight of puppy.